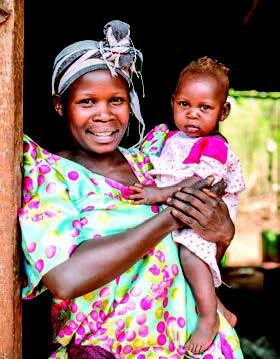 In 2010, in the midst of the most challenging economic crisis of our day, World Vision felt a strong calling from God. Not to retreat, but to do more than we had ever done before. He had uniquely equipped us to reach millions of people suffering under the oppression of severe poverty. So despite the daunting headlines, we launched an unprecedented effort — World Vision’s Campaign For Every Child. As we reflect upon the end of a five-year journey, we celebrate the gift of answered prayers, the fruits of our joint labor, and the blessing of lives that have been forever changed. 20 million people worldwide. We felt God calling us to make this bold move — and many of you felt the same call. Together, we worked shoulder to shoulder — and we achieved something amazing. Five years later, we have so much to rejoice over. Because God honored our efforts, this groundbreaking capital campaign has had an incredible global impact. With his grace, we crossed the finish line in June 2015 and exceeded our goals, reaching more than 25 million people — half of them children. Our hearts overflow when we think of the millions of lives transformed as a result of God’s faithfulness. Now, families have access to clean water along with new hope for healthy futures. Parents are better equipped to earn incomes that meet their children’s basic needs. Children are being protected and nurtured, and they are growing in their Christian faith. A new day has dawned for a generation of people. God knows and loves every single one of the more than 25 million people we reached. Each one has a name, a purpose, and now a better future. On behalf of each and every one, we thank you for your love, your generosity, and your faithfulness. God answered prayers through you. Through World Vision’s Campaign For Every Child, we achieved remarkable results. With the generosity and commitment of our donors and partners, we achieved new heights, reaching more than 25 million men, women, and children and changing their lives forever. Along the way, World Vision grew stronger too. We built capacity, tested innovative new approaches, and emerged as the largest humanitarian provider of clean water in the developing world. In the end, we raised $537,871,607 and reached 25,781,015 people. That’s more than 500 people every hour for five years. We focused our efforts in 18 of the most challenging countries in the world, countries in which we have an established infrastructure, relationships, momentum, and an opportunity to go deeper, faster. The projects and approaches centered around five sectors of our work that are vital to breaking the cycle of poverty: clean water, health and nutrition, protection of children, training and access to financial tools and markets, and spiritual nurture. 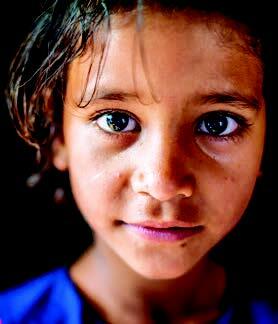 Meet Nilufa, a 6-year-old girl in Barandipara, Bangladesh. Nilufa’s family was struggling, but her world changed when she began attending a World Vision Child-Friendly Space. She learned to read and write and found a safe place to enjoy activities with other children. World Vision’s Child Protection program also provided skills training and parenting classes that helped transform her entire family. 2,235,975 men, women, and children reached through training, discipleship, and ministry activities. 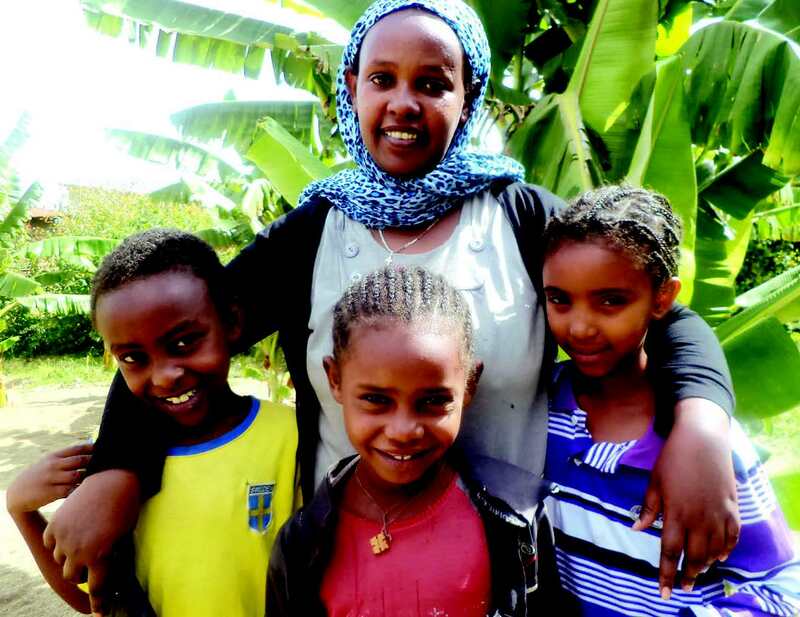 Meet Meaza, a mother of four and Sunday school teacher in Ethiopia. Meaza joyfully demonstrates love to her children and enjoys being a positive model at home and church. But before she received training through World Vision’s Christian witness program, she remembers being harsh and impatient. Through learning about God’s love, her attitude and family life were transformed. 12,191,325 children, pregnant women, and family members protected by mosquito nets and malaria education, and benefited from nutrition and mother-and-child health programs. 11,971,275 people in Kenya, Mali, Mozambique, Uganda, and Zambia received 6,220,933 bed nets to help protect them from malaria. 175,288 children under 5 and women of childbearing age received primary healthcare and nutrition services. health team member trained through an innovation project funded by this campaign. “All of the children had malaria before, but now none of them have it,” says Pauline. Sara also counseled her throughout her pregnancy — helping ensure Pauline was able to deliver a healthy baby girl named Florence. In Uganda, 9,000 volunteers like Sara are helping keep families healthy. 1,972,057 household members benefiting from access to economic empowerment programs. Meet Mrindwa Manento, a hardworking farmer in rural Makindube, Tanzania. 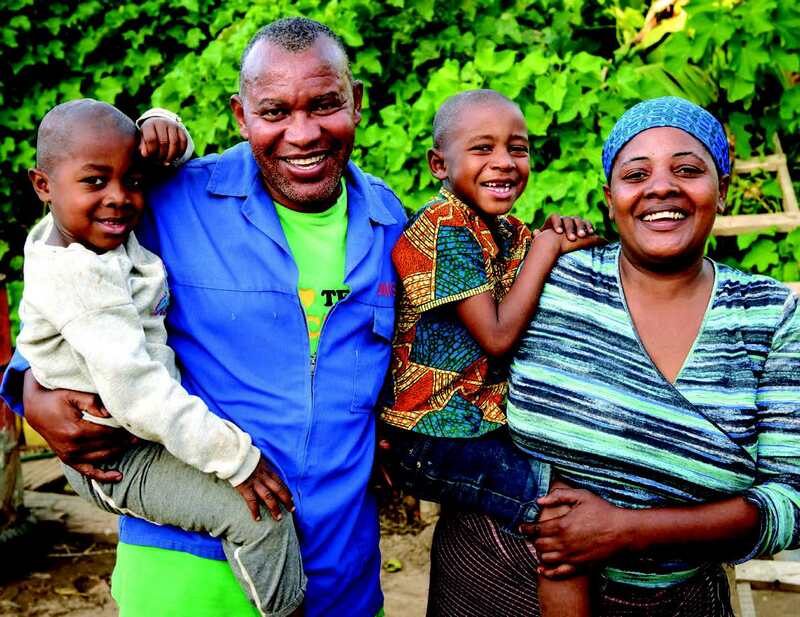 Mrindwa was once a subsistence farmer, growing barely enough to feed his family. Then World Vision provided him with the training, resources, and knowledge he needed to make crucial changes in the way he managed his land. Today, he’s the owner of a thriving, resilient, and sustainable business — and a well-respected leader in his community. Opportunity has changed everything for Mrindwa and his family. 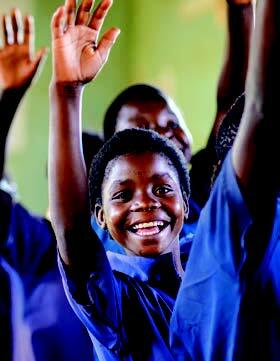 Meet Conostancia, a student at Malima Primary School in the Sinazongwe area of Zambia. Rather than wait 30 minutes to use one of four latrines serving 670 students, Conostancia used to simply leave school for the day. Then World Vision built 10 new latrines and a hand-washing station for the school, and everything changed for the students. Enrollment grew. 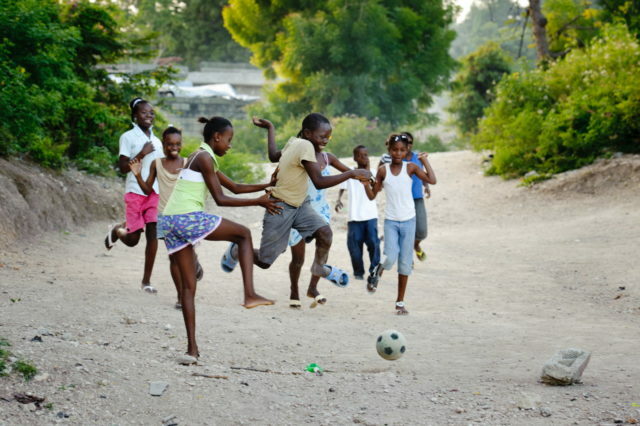 Children began playing sports and started a water, sanitation, and hygiene club. Today, Conostancia is back in school, working hard to pursue her dreams. us to reach more people faster, more efficiently, and more effectively. We also know that many of the best innovations are born in the field — created by the staff closest to the work and the people the work benefits. As part of the Campaign For Every Child, World Vision began our first innovation fund. This fund was led by staff and donor partners who were willing to invest in the research, testing, and development of new approaches that were scalable and could potentially result in significantly greater impact in the lives of the people we serve. We are grateful for the highly skilled and passionate donors who stepped out in faith and worked side by side with us to review, analyze, and select which projects we would test. This method proved very effective and resulted in remarkable innovations that we are now working to scale. Innovative programs are helping expand our efforts to reach people with clean water in even the most difficult places. Across sub-Saharan Africa, accessibility to deep wells is limited. World Vision is partnering with Design Outreach and Messiah College to equip communities across Ethiopia, Kenya, Malawi, Mali, and Zambia with the LifePump, a hand-powered pump that can bring water from a depth of 325 feet without mechanization. Early reports confirm that these pumps are ergonomic and user-friendly, enabling women and even children to operate them easily. Technology advances and innovative thought are enabling World Vision to make healthcare more accessible to impoverished mothers and young children around the world. One example is the mobile health (mHealth) project in Zambia, serving pregnant women and children under age 2. Phone-based software enables volunteer community caregivers to manage and treat health issues as well as refer and counsel patients. This highly successful program has now been deployed in 16 countries. In the wake of disaster, the recovery process is eased when people of different faiths are able to effectively work together. Recognizing this, World Vision has adopted an innovative and successful approach to training staff in interfaith relations. Our response to the drought in the Horn of Africa provided a valuable opportunity to implement and test interfaith training and faith-based forums that gather diverse local religious leaders for the pursuit of the common good. Extreme poverty is prevalent in Cambodia, with one in six people living below the international poverty line. In rural areas, microloans can help the entrepreneurial poor grow businesses and improve incomes, but the cost to provide service is a barrier. In 2013, World Vision completed a pilot project that demonstrated how mobile banking could radically advance these efforts. Developing special loan software for handheld mobile devices has lowered the cost of providing loans to those in hard-to-reach places, making it possible for hardworking parents in Cambodia and seven other countries to transform their families’ lives.